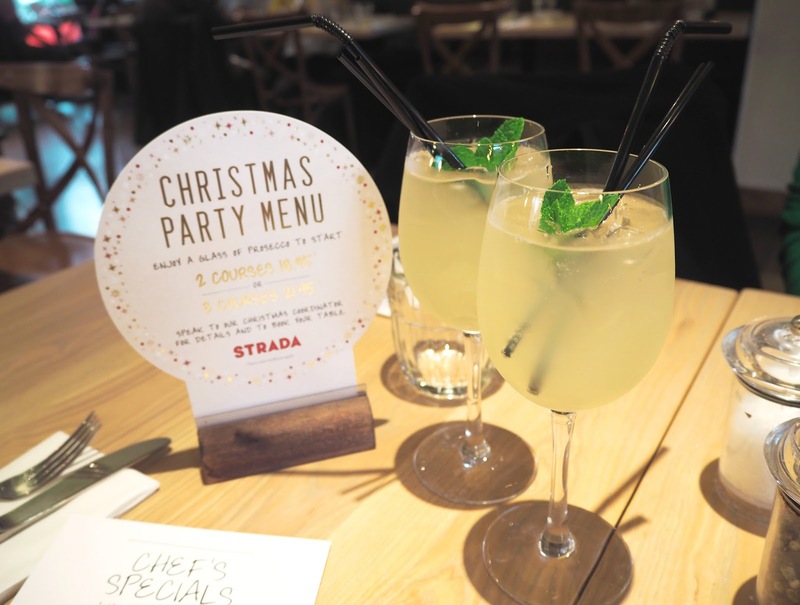 Recently I was invited to visit the newly refurbished Strada Restaurant in Horsham*. I took my Mum along as my plus one, she really didn't take much persuading! 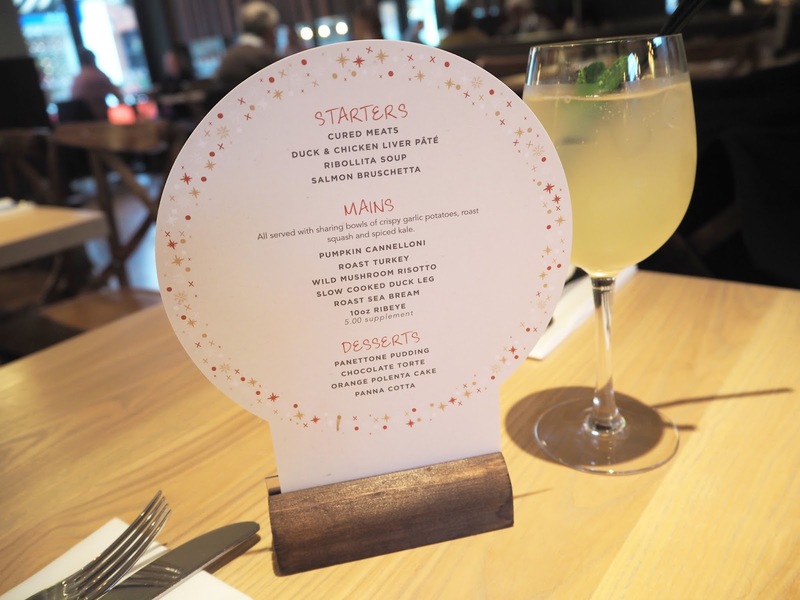 We both have various food allergies & intolerances, for example my Mum is allergic to all seafood and I am to mushrooms, but we find Italian food generally suits both of us. 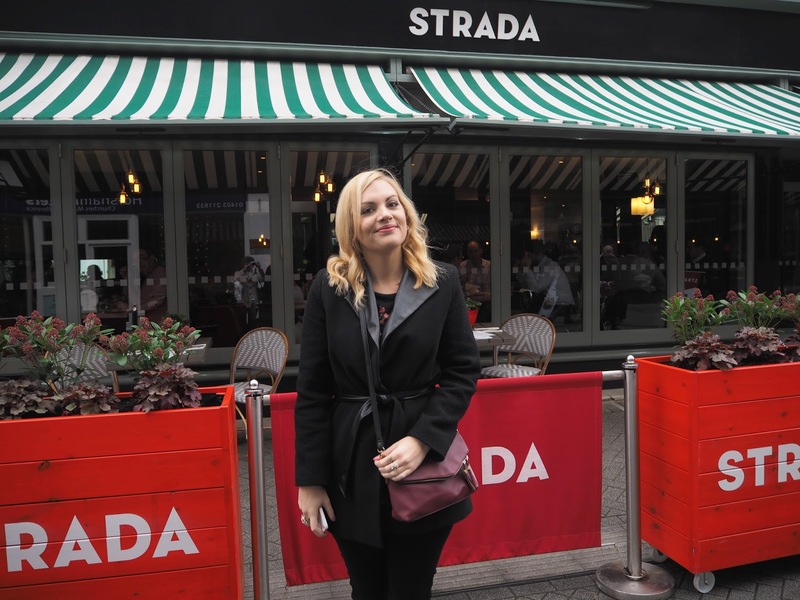 This was my first time trying out a Strada restaurant. 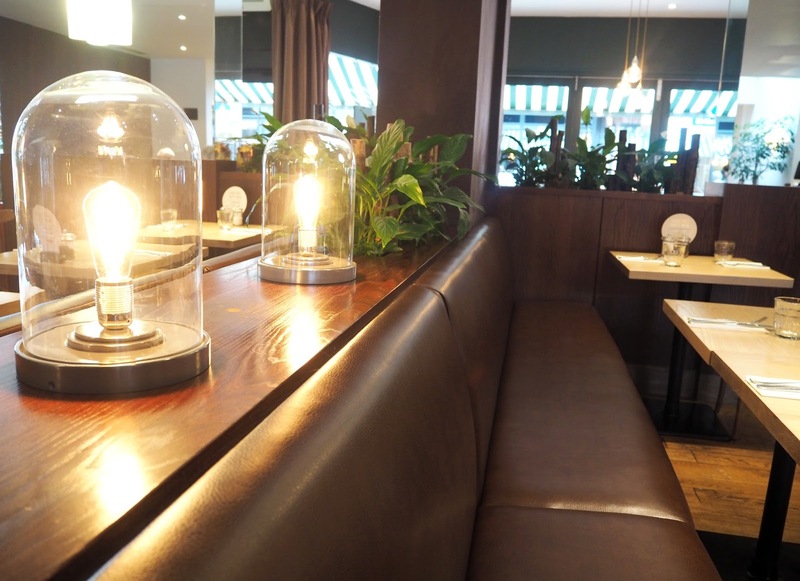 We were greeted by some really friendly staff who were very accommodating of the fact I have chronic pain and made sure I had a choice of their most comfortable (newly refurbished) seating. 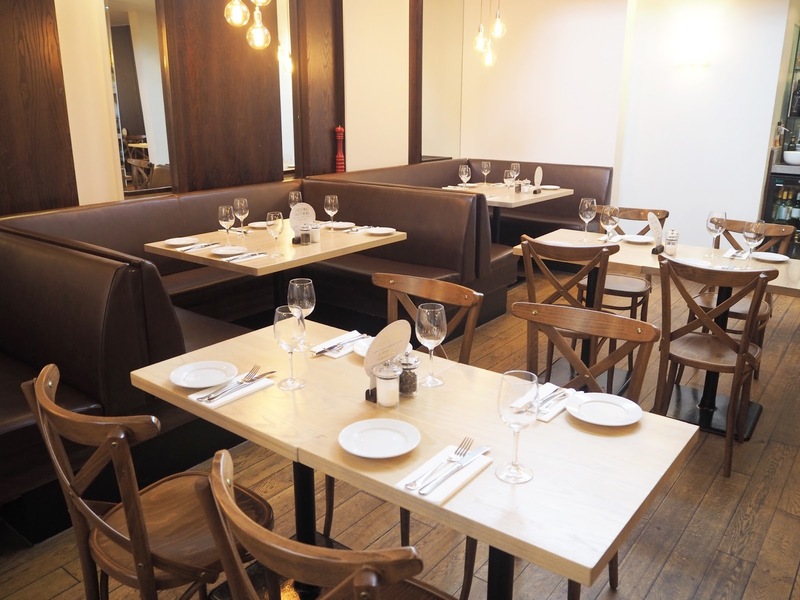 I liked the way the restaurant was laid out actually as in most of the seating areas it felt relatively private so you could have a party or intimate dinner without too much intrusion from fellow diners. 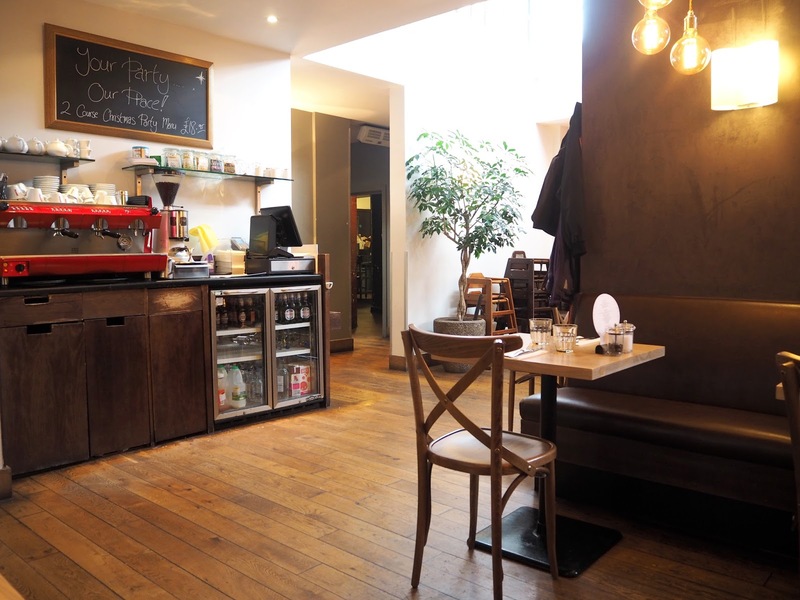 The staff were lovely & welcoming without being too in your face about it which I liked. 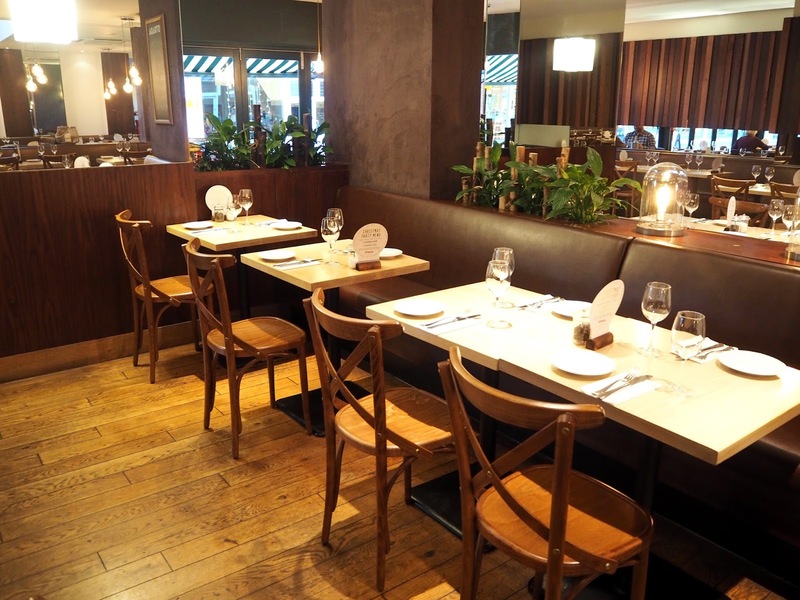 You want to be able to enjoy a meal out without getting interrupted too often but at the same time not be ignored & struggle to get attention when you want to order your next course! 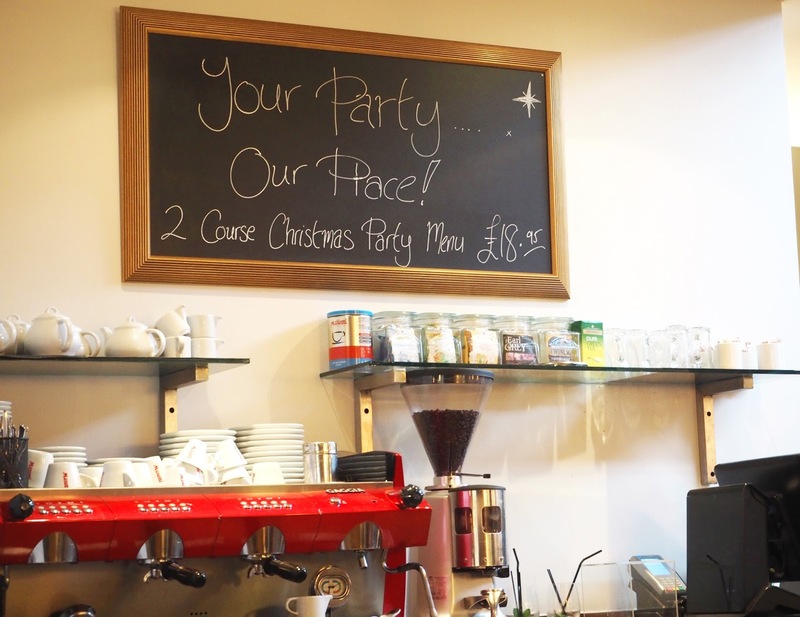 The manager, Anita, told me all about their recent refurbishments and how she tried to use local people & locally sourced items for all the work that was done. 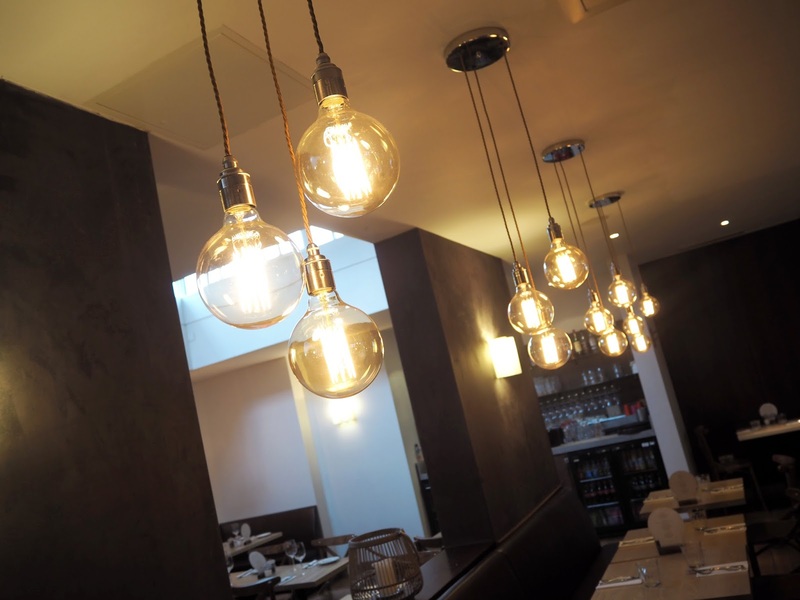 There is gorgeous new shabby chic style lighting which I was particularly taken with, I spent quite a while playing about photographing that! 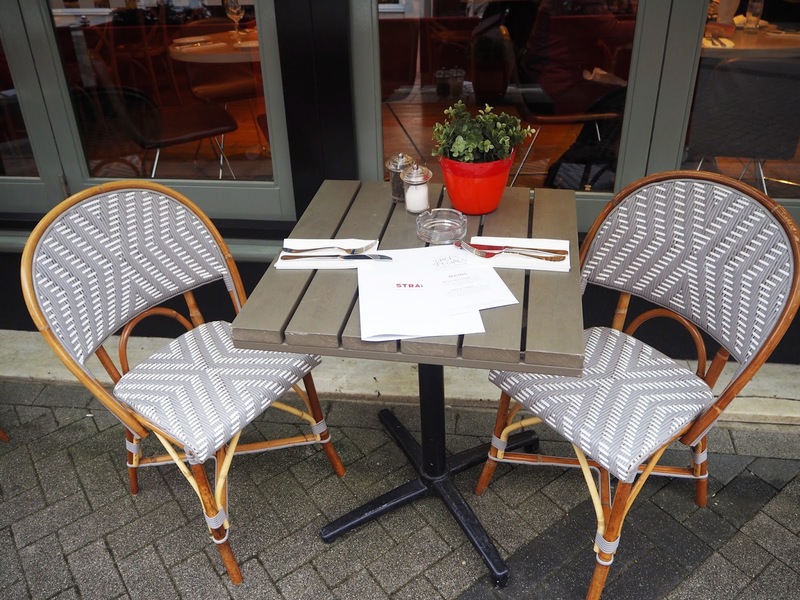 They have also added pretty planters outside and the front of the restaurant has been repainted a bottle green shade, cute little chalk boards in the interiors adding to the shabby chic vibes and the seating has been re-upholstered from a green fabric to a swish brown leather which I found very comfortable. 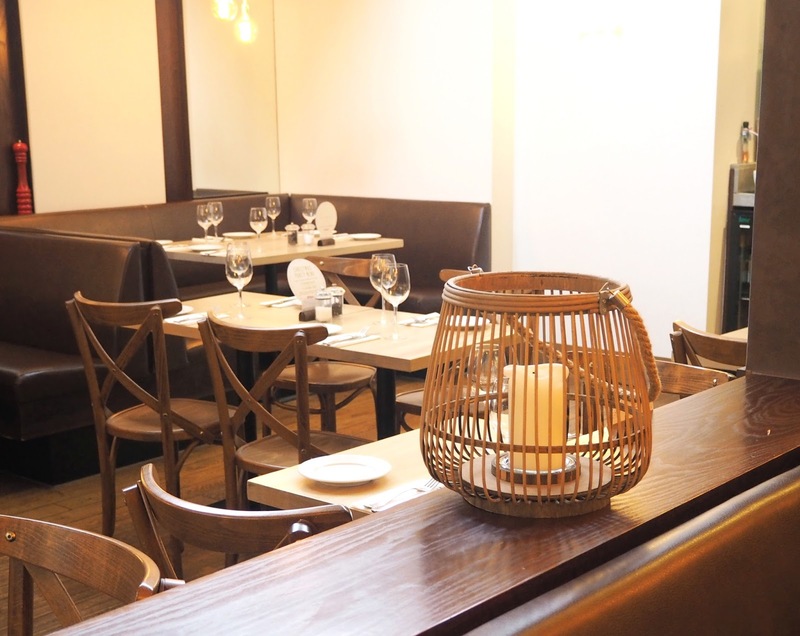 All in all the updates gave the restaurant a modern, luxurious feel whilst still remaining friendly and un-intimating I think. 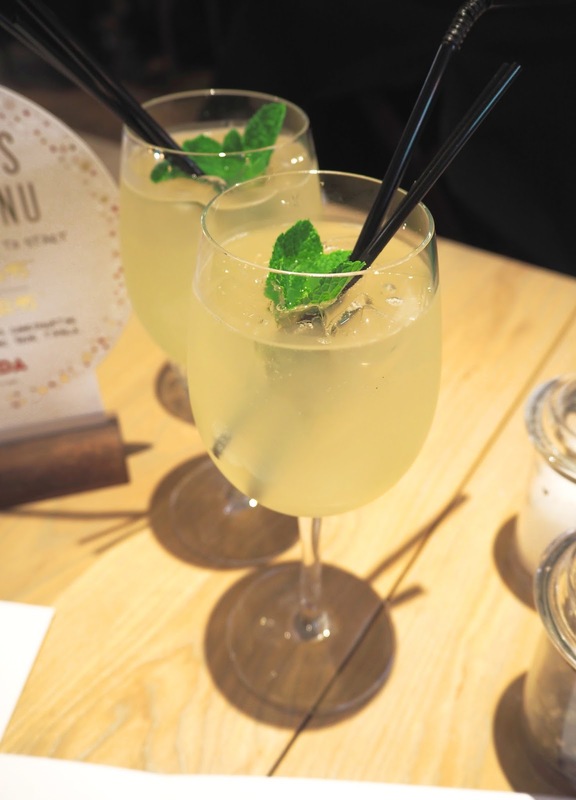 Drinks | To drink we had Virgin Apple & Elderflower Spritzers which were made with fresh apple juice, lime, elderflower and soda on ice with a sprig of mint. This was such a delicious & refreshing drink, I would definitely choose to have it again! 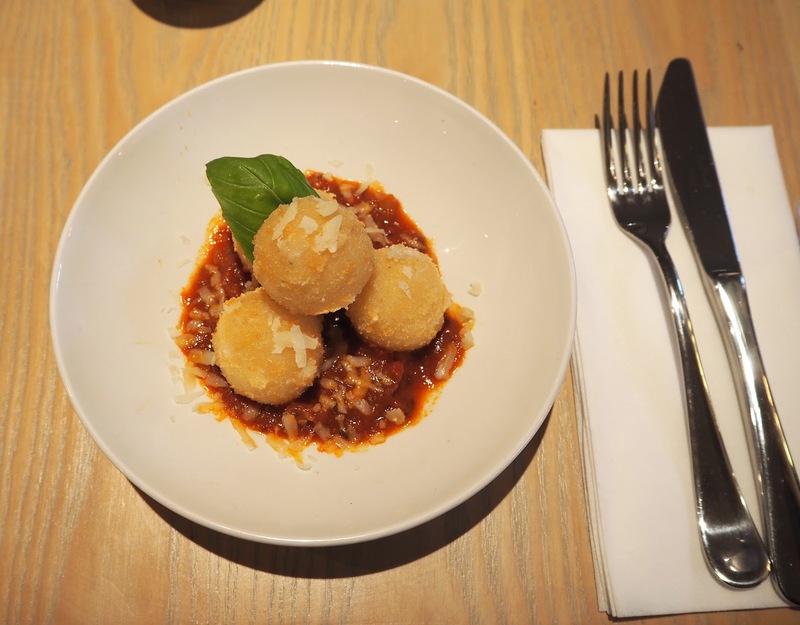 Starters | For starters we both opted for the Arancini "Crispy rice balls stuffed with melting mozzarella. Served with spicy tomato passata and aged Parmesan." 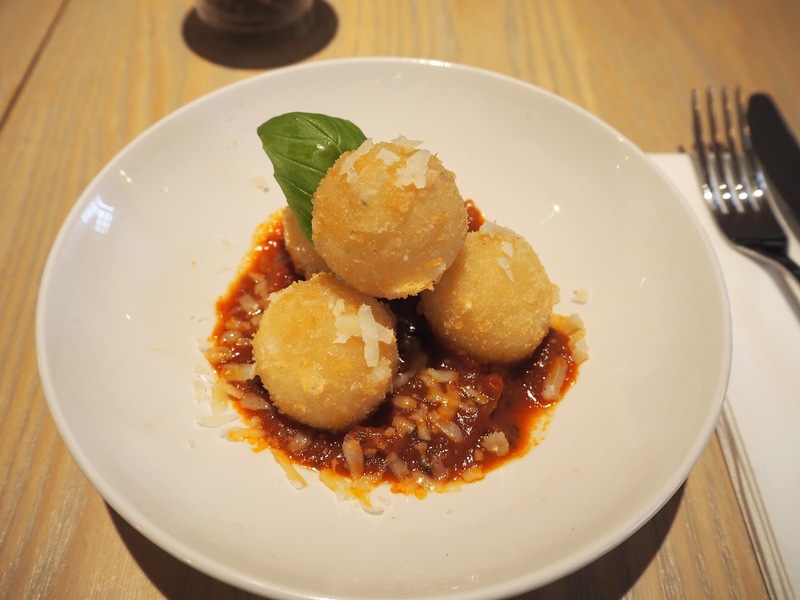 I'm a big fan of Arancini & if it's on a menu not containing mushrooms I will almost certainly choose to have it. We both really enjoyed how crispy they were and the contrast of the cheese & spicy tomato sauce was yummy! 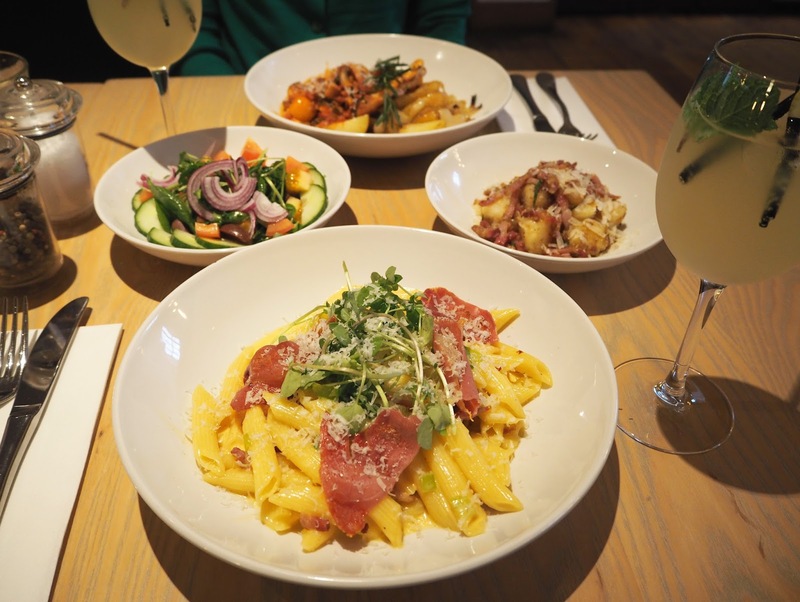 Main | For main course I had Penne Carbonara "Creamy egg, crispy pancetta, leeks, black pepper, Parmesan and a squeeze of lemon." 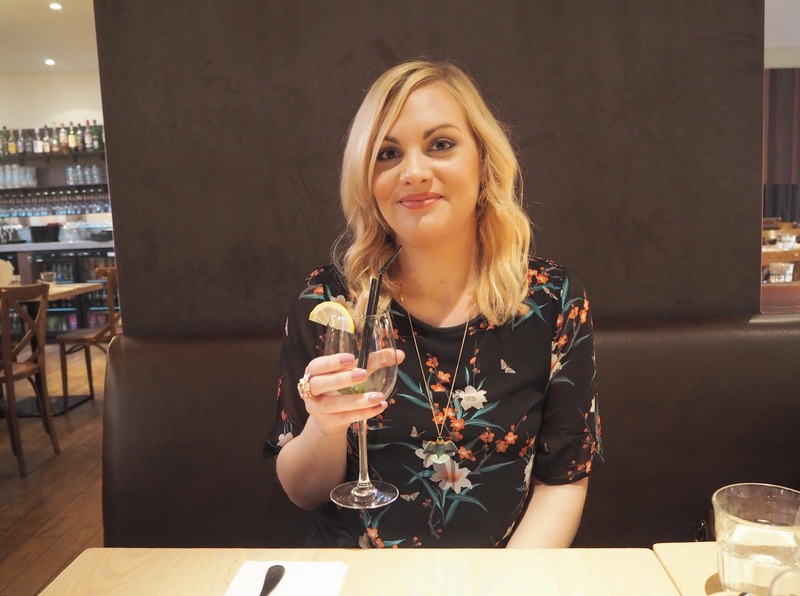 I reckon you can tell a lot about an Italian restaurant by the quality of their carbonara, it's one my favourite dishes so I've tried many in the past! The sauce in this one I thought was really good, I especially liked the addition of the leeks and large pieces of crispy pancetta! 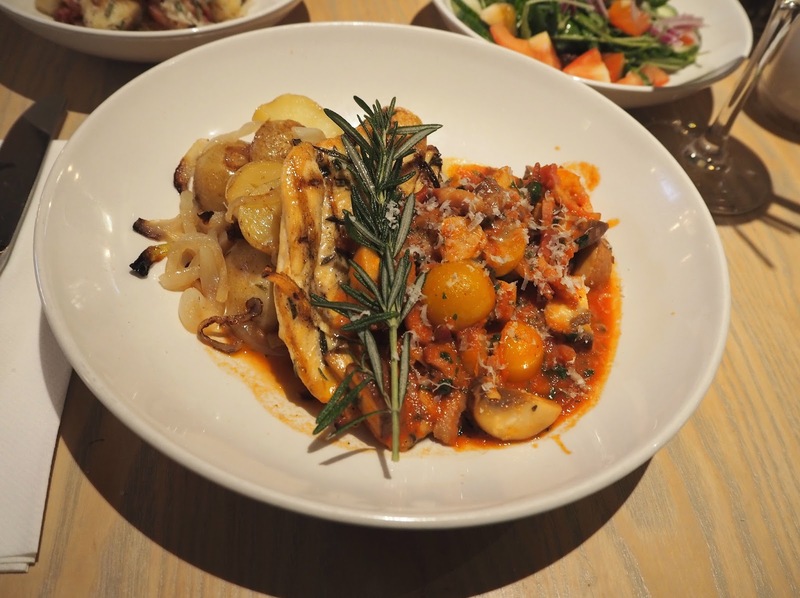 Mum had Pollo Cacciatora, the chicken dish from the Chef's Specials "Grilled chicken fillet in a rich tomato, mushroom and pancetta sauce. Served with our rosemary potatoes." She really enjoyed this, particularly the sauce but couldn't manage all of the potatoes in the end (although that may of been down to the fact we also had sides!). 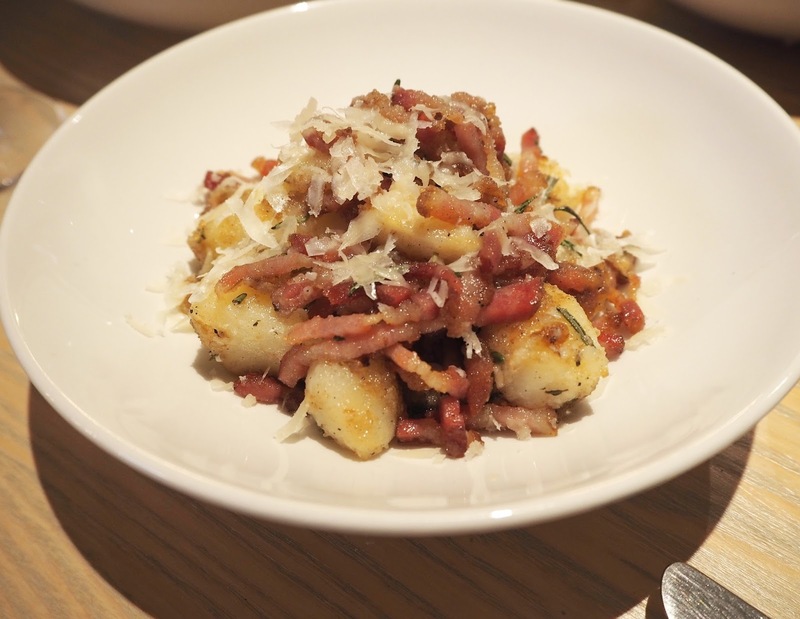 We shared a couple of sides, the House Salad and Potatoes tossed with (generous amounts of) Pancetta & Parmesan which I would highly recommend trying if you're there as it was possibly the tastiest side dish I've ever had! It's a pretty simple combination really - potatoes, cheese, bacon and a little garlic, but it was so unbelievably moreish I think I could've happily had that just as my main dish. That was a winner! 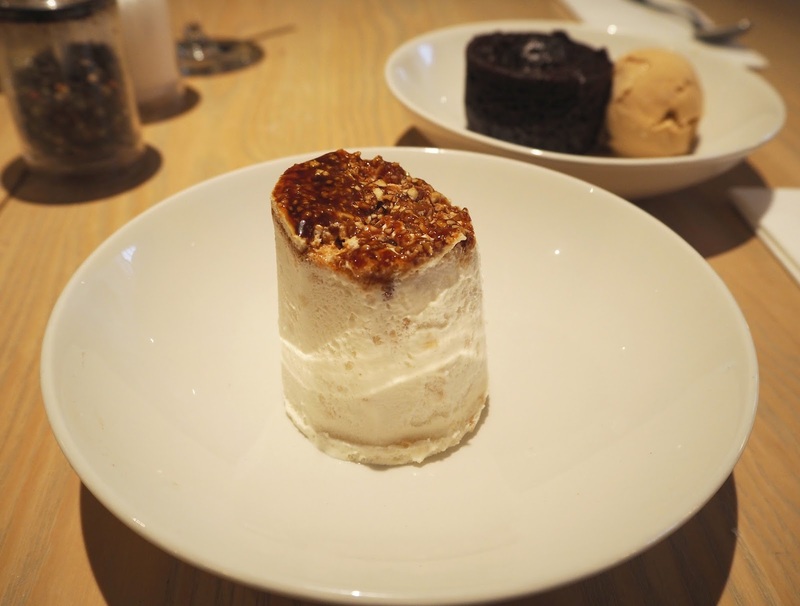 Dessert | For dessert I had the Chocolate Fondant with Salted caramel Ice Cream whilst Mum chose to have a Semifreddo Nougat with Caramelised Nuts. We tried a bit of each others and I have to say both were really good. 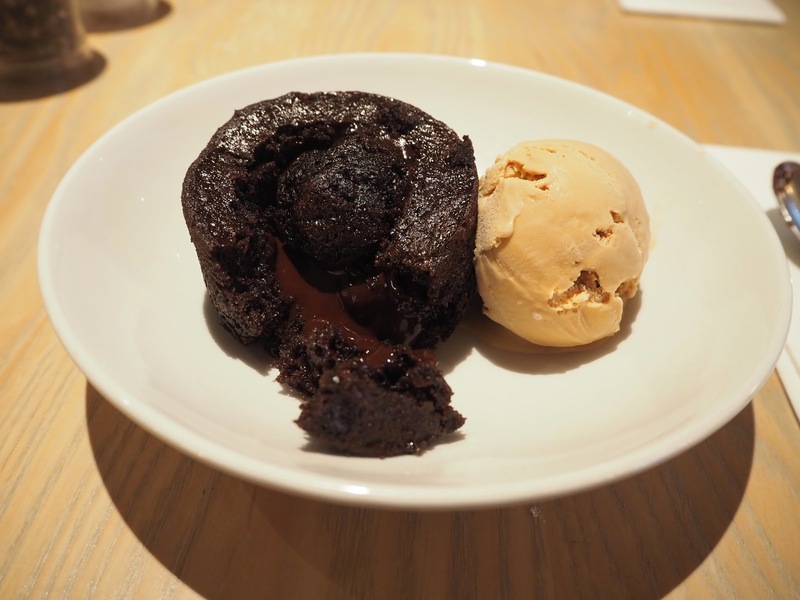 I can ever resist a truly chocolatey dessert when I see one and the Chocolate Fondant was melty, rich & delicious so right up my street! You definitely needed the ice cream paired with it though. The Semifreddo was very yummy too and I think a nice, lighter option for the end of a meal. 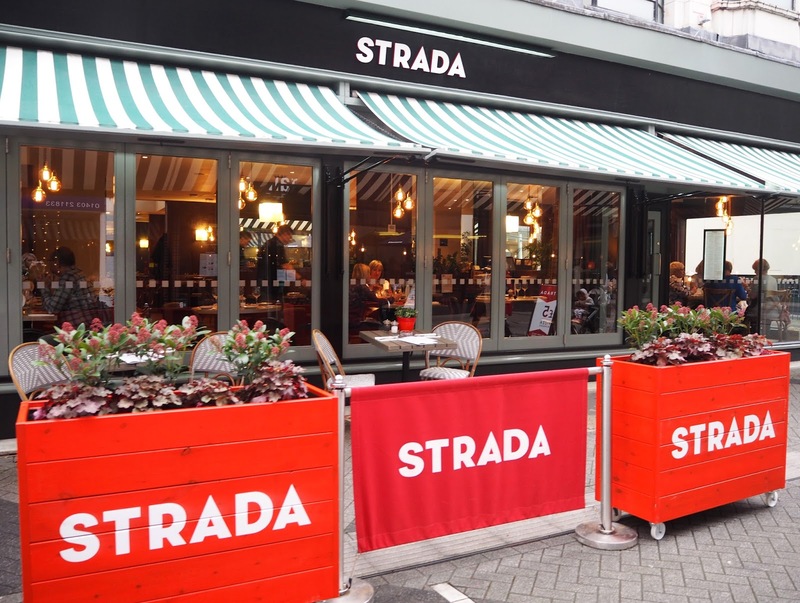 On Monday's Strada do a special 'Pizza Monday's' Deal where all Pizza's are only £5! 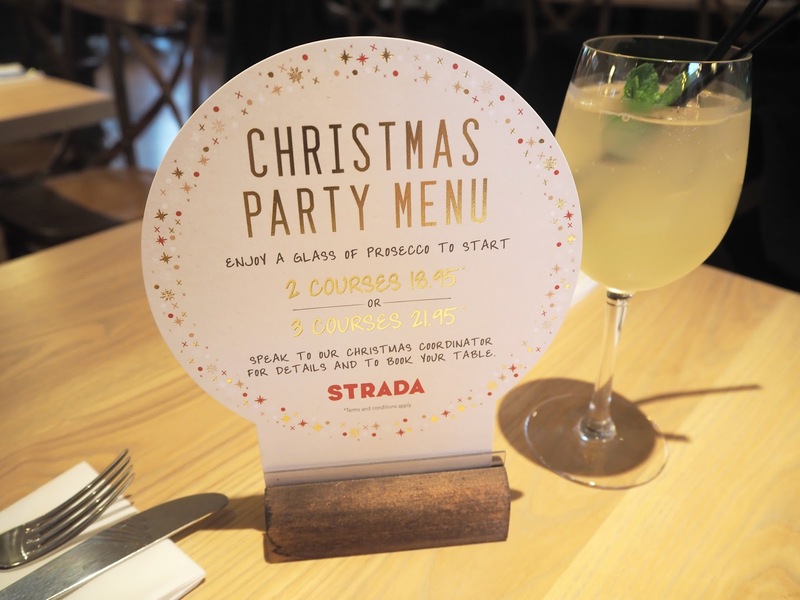 There is also a special Christmas Party Menu which is available as of now and it sounds amazing. I may have to go back and sample something off this! After our meal we fancied a little walk as we were so full, and had a stroll around Horsham high street which I'd never really been down before but it is really beautiful! I appreciated how many unique and individual shops they have, something that's lacking on most high streets these days! I'm already planning a trip back to one of their markets. 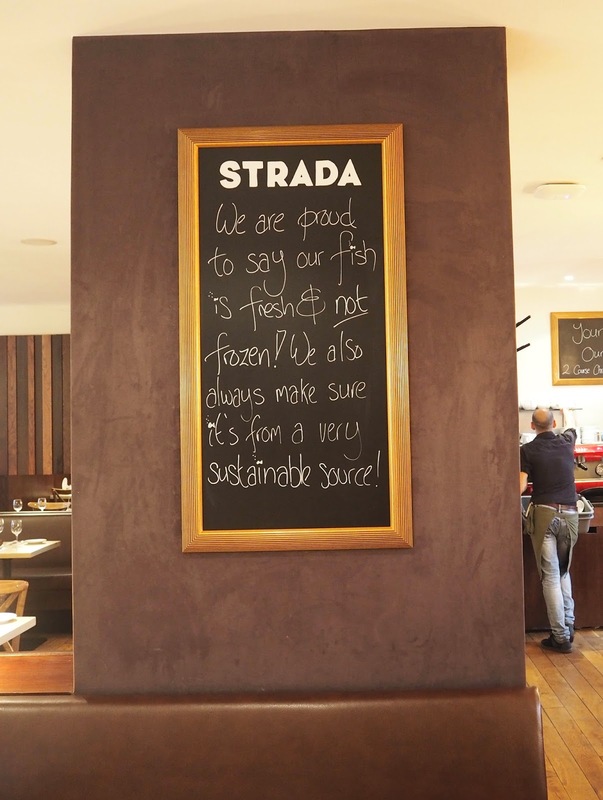 I really enjoyed my visit to Strada in Horsham & would definitely recommend a visit next time you're in the area! 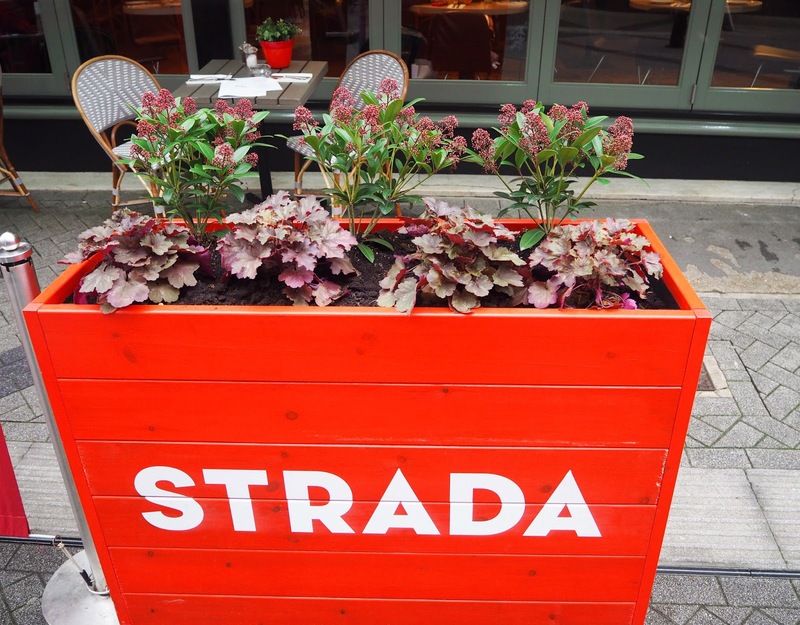 *I was invited by Strada to come & review their restaurant but all opinions are my own. That chocolate dessert looks amazing! For instance, wraps were once viewed as light and sustaining, however frequently contain more than 1,000 calories and more than their offer of fat grams. It's significantly more compelling to feast at a sound eatery that has some expertise in dishes that are useful for your heart and figure. The test is discovering them.